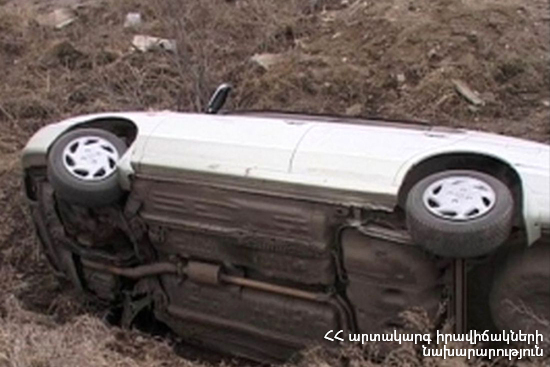 On February 11, at 08:59 an emergency call was received to “911” service that “Mercedes” car had rolled over into a canyon on Aygehovit-Vazashen highway: a fire broke out in the car. It turned out that a “Mercedes-Benz Viano” had run off the roadway, rolled over into the canyon (about 300 m) and flamed up on the 2nd km of Aygehovit-Vazashen highway: the driver had gone out of the car by himself. The fire was isolated at 09:26 and extinguished at 09:54. The car completely burnt.